Dear Aaldona615, Thank you for your loyalty and for the time dedicate to share your experience on line with the Tropadvispr community . 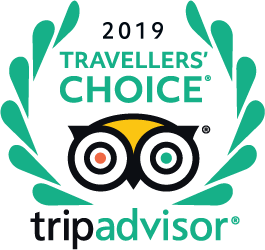 We are very delighted to know that you enjoyed your time whilst your stay with us and you were fascinated by all the facilities, activities and by our animation team , your kind words are the precious award that push our whole team to keep on working so hard to maintain this level of quality of service . We really look forward to welcoming you soon so as to to relive you the most pleasant and unforgettable moments you ever had . Once again thank you for keeping to recommand our hotel . Warm Regards. Nora Errahili / Guest Relation Manager. Is the WiFi free for the hotel guests? Hi, It's about a 25 to 40 minute drive to the airport depending if you have a coach transfer or you get a taxi. There is a small shop on the hotel grounds which has a decent selection of goods. There are just a few small shops across the road from the hotel. To be honest, I wouldn't even bother visiting them as they aren't the cleanest! Better go down into Marrakech if you want shops. There is a free shuttle bus which goes from the hotel, one in the morning and one about 3pm. You just need to book at the reception. There are always quite a few taxis outside of the hotel near the main gate. "napewno nie hotel na 5 gwiazdek"
"Nie polecam budynku C ze względu na mrowki, znajomi mówili ze w B nie było mrowek."